FM Approved non-metallic or coated stainless steel ducts are now standard equipment for most modern fabs. Many industries rely on ducts made of metal, plastic or composites to exhaust fumes generated by various processes or apparatus. Chemical processing plants, semiconductor fabs, food processors, metal plating, pulp and paper, smelters, and waste water treatment plants are just a few examples of industries that make use of exhaust ducts. These businesses often use corrosive and toxic chemicals or gases in many of their processes. It’s not unusual to find ductwork designed to direct fumes and exhaust to environmental control systems such as filters, scrubbers or incinerators. These ducts are often made from fire-retardant and corrosion-resistant materials such as coated stainless steel, fiberglass-reinforced plastic (FRP), and some thermoplastics such as fire-retardant polypropylene (FRPP), polyvinyl chloride (PVC) or chlorinated polyvinyl chloride (CPVC). While ducts are a critical part of an efficient and safe plant, they can also inadvertently add to the combustible load and, ultimately, contribute to losses and downtime in the event of a fire. Unfortunately, the same ducts used to protect facilities from corrosive vapors and other noxious fumes can also provide an ideal pathway for fire to spread. This risk is especially prevalent in industries where extensive ductwork must be run inside facilities to reach critical process equipment, cleanrooms and mini-environments. Semiconductor manufacturing is one industry that has experienced numerous losses in which fume exhaust systems have burned and collapsed, resulting in fire and smoke damage. With new fabs costing US$2 billion or more and high downtime costs, FM Approved non-metallic or coated stainless steel ducts are now standard equipment for most modern fabs. However, many other industries lag behind in their adoption of fire safe ductwork. Local building codes typically require higher standards for flame spread and smoke generation for ducts that run inside of buildings, often requiring separate sprinkler protection for the duct system itself, inside and out. These sprinklers must be specially protected to withstand corrosion and inspected frequently. Smoke exhaust ducts that have been evaluated and Approved according to Approval Standard 4922, Fume Exhaust Ducts or Fume and Smoke Exhaust Ducts, even when subjected to severe fire, will not collapse, propagate fire or emit significant amounts of smoke. Approval Standard 4922 was issued in early 2001 and was the first standard to address the real-world risks posed by combustible fume and/or smoke exhaust ducts. The standard requires all duct systems to limit fire spread on the inside and outside of the duct. The standard requires that the duct systems be tested in several configurations, including horizontal, combination horizontal and vertical, and a vertical section. Real world geometry and representative fire exposure is used within the standard to simulate an actual duct installation and potential performance. This level of fire testing goes well beyond the relatively simple requirements of the ASTM E-84 flat-panel test that is often referenced in building codes. Approval Standard 4922 simulates actual installed situations in which fire can be sucked into a duct system and potentially propagate both inside and outside the duct. In addition, Approval Standard 4922 provides an additional test for ducts intended for fume and smoke removal and a third level of testing for ducts intended for use in the semiconductor industry and other clean room type occupancies. To be certified as a cleanroom-ready duct, the product must demonstrate that it not only limits fire propagation, but also restricts the emission of particulates in the form of smoke. To qualify for this highest level of certification, products are subjected to FM Approvals Cleanroom Materials Flammability Test Protocol, Class 4910. Duct systems that meet the requirements of Approval Standard 4922 may be used without internal sprinklers. Ducts that meet the requirements of both Approval Standard 4922 and the 4910 Test Protocol may be used in the semiconductor industry and other clean room type occupancies. Facility owners can be assured that a duct system, Approved to Standard 4922, will limit flame spread, smoke propagation and maintain its structural integrity. Approval Standard 4922 employs tests that have been shown through careful research and years of field experience to accurately simulate real-world duct system geometry, airflow and fire exposure. Approval Standard 4922 also includes a review of a manufacturer’s quality control program to assure that subsequent batches of resin or duct and fittings produced are the same quality and reliability as the test samples. In addition, Approval Standard 4922 includes an initial inspection of manufacturing facilities as well as unannounced follow-up audits. FM Approved duct systems are listed in the online Approval Guide under one or more of the following categories: fume exhaust duct systems, fume and/or smoke exhaust duct systems, or fume and/or smoke exhaust duct systems for use in cleanrooms. Cost? It is important to understand the product manufacturer’s pricing structure. It may appear that the cost of a tested and certified FM Approved duct system is more than that of a comparable, non-certified system. Reputable testing and certification organizations such as FM Approvals will run tests and perform facility audits, which may, in fact, increase the cost of the product compared to similar, non-certified products—but not always. In most cases, any cost differential between FM Approved and non-certified ductwork will be offset over the life of the system by savings in internal sprinklers, reduced follow-up inspections reduced maintenance and, potentially, the avoidance of downtime and other losses. <>The best place to start any pricing comparison is the manufacturer’s website.  The Approval Guide, an online resource of FM Approvals, provides links to the websites of most manufacturers that produce FM Approved products along with the listing for the products. That link will often go you to a pricing sheet, or at least to a representative who can explain the actual cost that a manufacturer is charging his customers. Replacing combustible ductwork with Approval Standard 4922-FM approved ducts in existing operations, even in cleanrooms, is not as daunting a challenge as it may seem. For instance, a major semiconductor manufacturer was a long-time user of polypropylene ducting for fume exhaust purposes. While the polypropylene ducts were corrosion resistant, they were a major risk due to their combustible properties. Several losses, including a major fire involving polypropylene ductwork at one of its largest wafer fabs, convinced the firm to replace polypropylene ducts at all of its facilities with Standard 4922 Approved ducts. Although slightly higher in initial cost, the FM Approved duct does not require internal sprinklers. This savings, combined with reduced maintenance costs, will more than offset the higher price over the lifetime of the new ductwork.